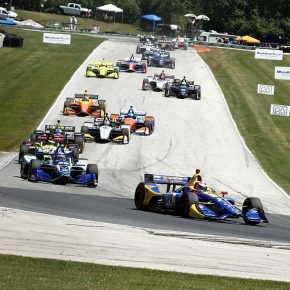 IndyCar is America’s top single-seater racing series. It features a diverse calendar of races on street tracks, road courses and ovals, making it one of the most all-round challenging championships in the world. 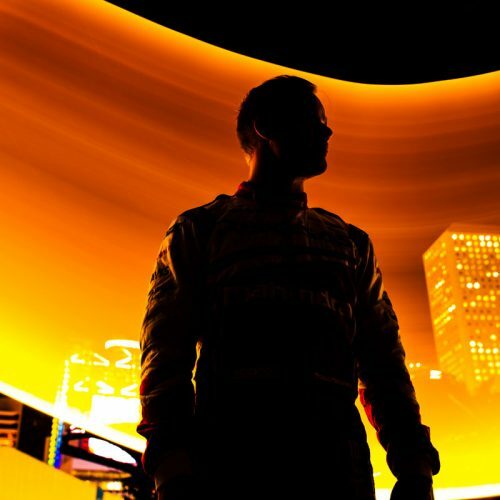 The IndyCar field is one of high international acclaim, featuring a mix of seasoned veterans and up-and-coming talent. The champion is awarded a whopping $1 million bonus. All teams field identical, spec chassis, built by renowned Italian manufacturer Dallara. Along with a simple choice of engine supplier – Honda or Chevrolet – this makes for thrilling and close racing and ensures even the smallest outfits can operate at a competitive level. IndyCar is the fastest single-seater in the world in a straight line, topping out at almost 400 km/h at the superspeedway ovals. 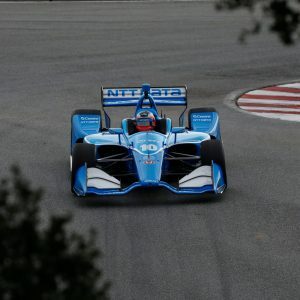 The blue-riband event of the season is the Indianapolis 500, which also forms part of motorsport’s Triple Crown alongside the Monaco Formula 1 Grand Prix and the 24 Hours of Le Mans. The Indy 500, as it’s generally known, traditionally takes place at the end of May, while the season in its entirety lasts between March-September. 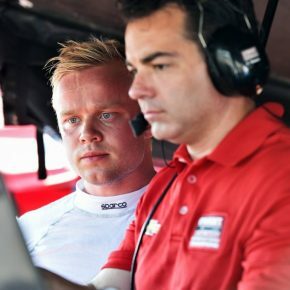 In 2019, Felix Rosenqvist makes his series debut, racing for multiple title-winning team Chip Ganassi Racing alongside reigning champion Scott Dixon of New Zealand. 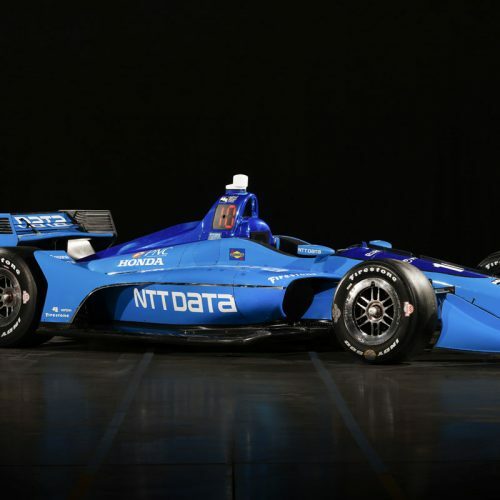 Rosenqvist drives Ganassi’s #10 car, sponsored by Japanese tech giant NTT DATA. NTT also entered into a title sponsorship deal with IndyCar ahead of 2019, with the official name of the championship being the “NTT IndyCar Series”. IndyCar is now the only top-tier single-seater series in America – the undisputed number one – but its history is one of a rocky road. In order to help clarify how the championship came to be, this is the story of separation, reunification and the ultimate return to growth. While American single-seater racing had been going on in the US since the early 20th century, the modern-day roots of today’s IndyCar series can be traced back to 1979 when the CART sanctioning body was formed. The CART series enjoyed great success through the 1980s to midway through the 90s, when unrest began to grow amid escalating costs. 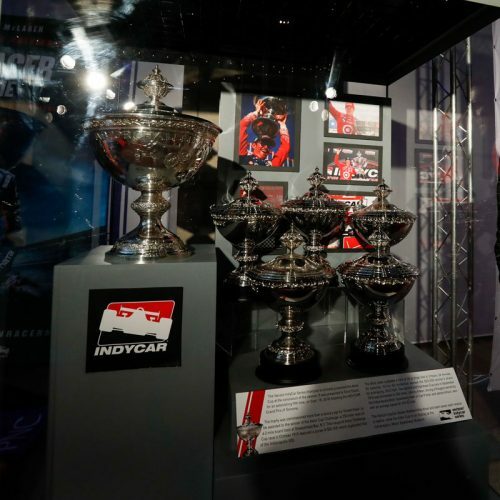 In response to discontent from the smaller teams, Indianapolis Motor Speedway president Tony George set up a new entity – the Indy Racing League (IRL) – in 1994. The IRL began racing in 1996, with mainly the smaller teams breaking away from the CART platform. 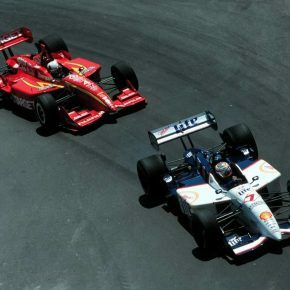 With the Indy 500 at the height of growing tension between CART and IRL, the latter series eventually gained momentum while CART wavered. 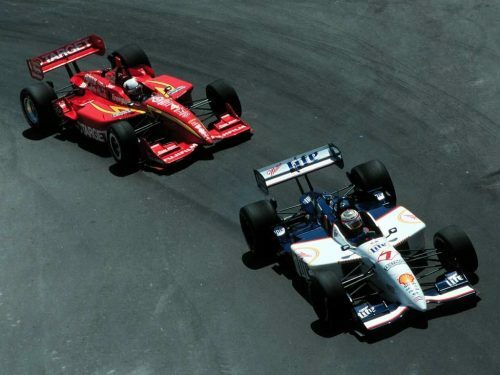 In 2003, IRL reintroduced the term “IndyCar” – previously used by CART until the split – to its championship. At the same time, CART went bankrupt, with a trio of team owners taking over the assets and creating the Champ Car World Series for 2004. By early 2008, however, Champ Car also closed down. 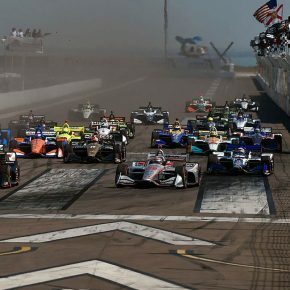 Its assets were merged into the IRL’s IndyCar Series, finally spelling an end to the American single-seater split and once again gathering all teams under one platform: IndyCar. Push 2 Pass: operated by a button on the steering wheel, this mode temporarily increases engine power by roughly 60-70 bhp. It is used mainly for overtaking and available for 120 seconds per race. 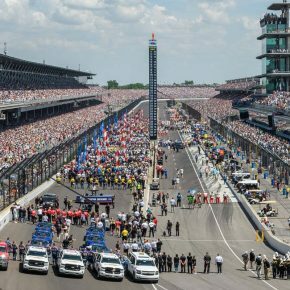 The Indianapolis 500, or simply the “Indy 500”, is one of the world’s biggest motor races and the ultimate highlight on the IndyCar calendar. It draws the largest on-site crowd of any sporting event on the globe with more than 300 000 fans attending race day. Run for the first time in 1911, the Indy 500 celebrated its 100th anniversary in 2011 and was held for the 100th time in 2016. It is the oldest of motor racing’s Triple Crown events – the other two being the Monaco Formula 1 Grand Prix and the 24 Hours of Le Mans. The race takes place at the Indianapolis Motor Speedway, deriving its name from the distance over which it is run: 500 miles (805 km). With a lap of the IMS measuring 2.5 miles (4 km), it makes for a 200-lap race that usually lasts approximately three hours. Typically, between 5-10 pit stops are required to complete the race. The Indy 500 is heavily steeped in tradition. It is always held over Memorial Day weekend in May, the field is capped at a distinctive 33-car limit, and the winner traditionally gets to celebrate in victory lane by drinking a bottle of milk. Due to its grandeur, the Indy 500 awards double championship points. The 2019 edition is staged on May 26 and marks the 103rd running of the Indy 500. 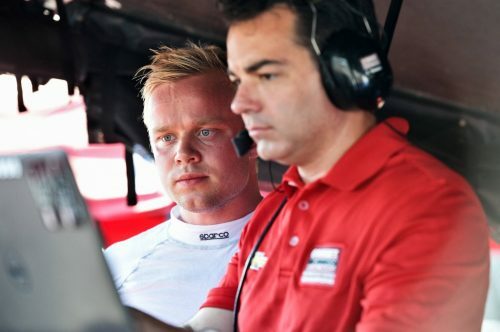 Felix Rosenqvist will be making his first start at the event, going up against his regular rivals plus the addition of double Formula 1 world champion Fernando Alonso. Points are awarded as per the table below. There is also 1 bonus point for pole, 1 bonus point for leading at least one lap, and 2 bonus points for most laps led. INDY 500: Double points. Also, the top nine qualifiers will be awarded points from a falling scale from 9 (pole) to 1 (9th fastest). NOTE: An entrant-initiated engine change will result in a loss of 10 driver points. 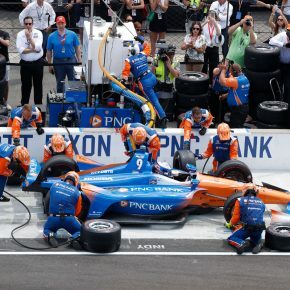 Pit stop rules are fairly basic in IndyCar. The only limitation implies to road/street course races, where each driver has to complete at least two laps on each tyre compound (see below) and thus needs to make at least one pit stop. A maximum of six crew members are allowed over the pit wall during pit stops. A regular stop takes between 6-10 seconds, including changing all four tyres and refuelling. Many pit crew members work with athletic trainers during the week for peak performance and to prevent injuries. The pitlane speed limit is 80 km/h at road courses/street tracks/short ovals and 96 km/h at speedways. IndyCar uses Firestone Firehawk control tyres. The allocated amount of sets varies from event to event. There are two tyre compounds available for street and road course races. These are known as primary and alternate tyres; basically one hard and one soft compound. Within 30 minutes of completion of qualifying, the driver must notify IndyCar which compound he will start the race on. It’s mandatory to complete at least two (2) laps on each tyre compound during the race. The second lap can be completed in the pitlane. If a car has tyre damage due to contact, the two-lap requirement for that tyre compound will be considered fulfilled. Rookie drivers may purchase one (1) additional set of tyres for use during practice session one (1). If purchased, the additional set of tyres is returned at the completion of practice session one (1). For ovals, only one tyre compound is available. Drivers can start the race on any of their allocated tyres. At oval events, drivers qualify one at a time, having the entire track to themselves. The running order is determined by reverse championship standings; the points’ leader runs last. Two warm-up laps are allowed before the actual timed qualifying run starts. A qualification attempt then consists of two timed laps, with the average time used to shape the grid. The fastest two-lap average thus earns pole position. 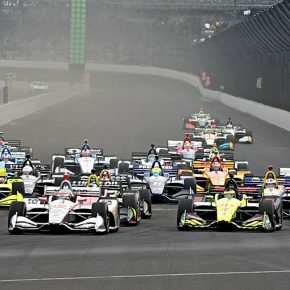 Due to its magnitude, the Indy 500 features a qualifying format separate to that in use at other oval events, with a system of three sessions in place to shape the final grid. The maximum grid count for the race is locked at 33 (11 rows of three cars each), with excessive entries knocked out during the two days of qualifying. Drivers are allowed two warm-up laps before commencing their qualifying runs, which consist of four timed laps. The four-lap average is what counts (in all sessions). All entries are guaranteed at least one four-lap attempt to qualify, with the running order decided by draw. The drivers who occupy positions 10-30 at the end of this session will start the race in those same positions and will not conduct any further qualifying runs. The top nine from first-day qualifying proceed to the Fast Nine Shootout, while drivers outside the top 30 end up in Last Row Shootout. Sets positions 31-33 on the grid. Drivers in positions 34 and back will not be allowed to start the race. Running order is based on the original draw from the day before. The fastest nine drivers from first-day qualifying will run in reverse order based on first-day times. At the end of the session, the cars are ranked 1-9 based on their four-lap average. The Indianapolis 500 pole winner is determined by the fastest qualifier in this session. 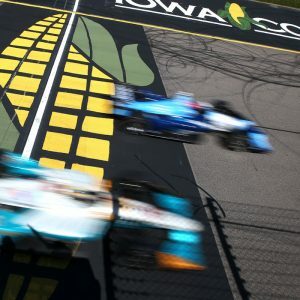 The IndyCar road and street course qualifying format features a knock-out system similar to that in Formula 1. There are three segments, with cars – unlike at oval events – running simultaneously on track. For segment one, the field is broken into two groups (determined by the times in final practice) in order to ease traffic. Each of the two groups receives 10 minutes of track time, with the fastest lap by each car determining its qualifying position. The fastest six cars from each group advance to Segment 2, while the remaining cars are assigned positions 13 and back to the rear of the grid. Group 1 drivers occupy the odd-numbered positions (13, 15, 17, etc. ), while Group 2 drivers occupy the even-numbered positions (14, 16, 18, etc.) based on their fastest lap times during the segment. The 12 advancing cars receive 10 minutes of track time, with the fastest lap by each driver determining his qualifying position. The fastest six advance to the Firestone Fast Six shootout, while the remaining six cars are ranked in positions 7-12 based on their fastest laps during the segment. The six advancing cars receive six minutes of guaranteed green-flag track time. At the end of the session, the cars are ranked 1-6 based on their fastest laps during the segment, with the fastest driver starting the race on pole. Maintains the data acquisition system, ensures all sensors are calibrated and well-functioning, and analyses data. Located on pit box during the race. The critical link between driver and team during race weekends. This is the person working closest to the driver at races, overseeing the running of the car and ensuring set-up changes are to the driver’s liking. Located at pit box. Calls race and pit strategy for the team. Communicates with the driver via radio during the race. Located on pit box. Specific to American racing, the spotter is the driver’s eyes in the sky and the voice that guides him around the track. Positioned above the circuit, the spotter communicates with the driver via radio to inform of on-track incidents, opportunities to pass and more. Mainly used at ovals. Located on spotters’ stand above grandstands. The American way also means the American say. Here’s a run-down on some distinctively American expressions you might come across during the season – and which you are unlikely to have heard in European racing. Stagger: Right rear tyre is larger in diameter than left rear tyre, causing the car to naturally want to turn left, to improve turning ability on ovals. Sticker tyres: New tyres. Term derived from the manufacturer stickers placed on brand new tyres. Wicker bill: More commonly known as a Gurney flap, it’s a removable aerodynamic spoiler that attaches to the edge of the wing to produce more downforce. The exclusive TV rights partner of IndyCar in the USA is NBC Sports Group, who will broadcast all 17 races – eight on NBC, including the 103rd Indianapolis 500, and nine on NBCSN. For further broadcasting details, visit indycar.com.